Disease: Depending on the colour, size, shape, height of the leaves, fruit colour, size, shape, etc., if any tree is different, it must be removed. Only after seeing the diseased trees will be completely removed. 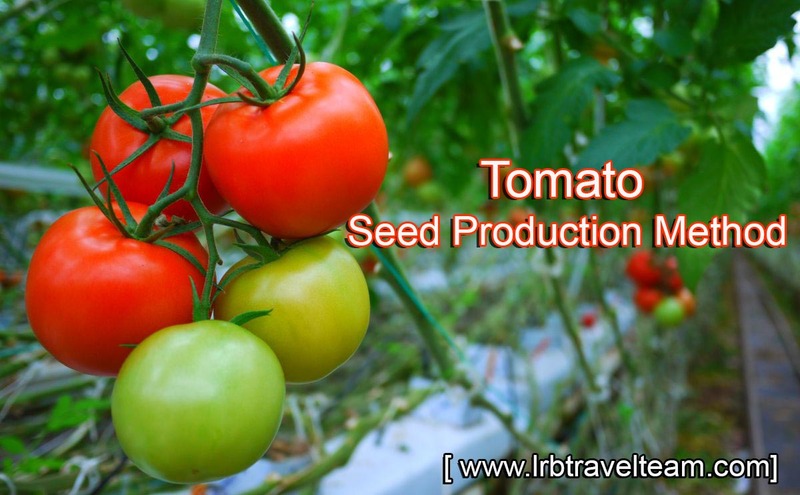 Tomato seed crop should be visited at least 3 times in the field. Before flowering, first inspection, flowering and bearing fruit, second inspection and third visit to fruit are matured. Pollination: If the tomato is a dream crop, then 2-5% paralysis occurs. Pure seeds will be produced if the land of seed crop is 50 meters away from other species of land. Identification and collection of seed fruit: Excluding diseased, damaged or rotten fruit, only need to be collected separately by selecting it for healthy normal fruits. Fruit should be collected if the colour is dark red. After this, the collected fruits are kept for 2-3 days. Seed collection and drying: Selection of selected fruit, cut out soil or plastic vessel with hand by hand pressing the seeds to be kept at 20-36 centigrade temperature of 24-36 hours in fermentation. At this time the seeds should be shuffled so that seeds can easily be separated from the glue part of the fruit. After a period of time, the seeds should be cleaned and cleaned repeatedly. The floating seed must be cancelled. After washing the seeds thoroughly after shade, the gradual drying of the seed should be reduced to 8% by gradually drying the moisture. Seed yield: yields up to 150-160 kg (600-640 grams /century) per hectare. tomato is not only Bangladesh but also vegetables all over the world. Although tomato is a winter vegetable, summer varieties of tomatoes have also been invented. Tomato yields better yield, so cultivating high yielding varieties can be possible by achieving a lot of foreign currency by meeting the needs of the country and creating a market outside the country. Tags: crops of Bangladesh, agriculture in Bangladesh statistics, problems of agriculture in Bangladesh, agricultural development in Bangladesh, Bangladesh agriculture information, agriculture in Bangladesh pdf, assignment on agriculture of Bangladesh, cash crops of Bangladesh.